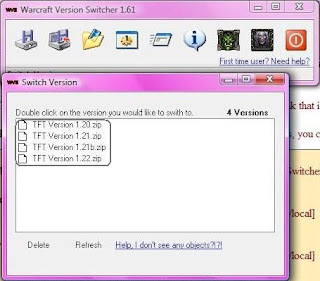 Okay, as what the tittle stated there, we will need Warcraft Version Switcher to convert your Warcraft Version. Although it is around 60mb file, but it is worth. The file that you will have is Zip file so you need to extract it in any folder. 1. Just create a 'New Folder'. It can be anywhere in your hardisk. 2. Rename the Folder's Name as what you wish to named it. 3. Extract the file that you have downloaded in this folder. Now i will teach you how to convert your warcraft version using this program. 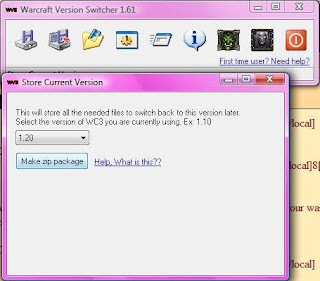 As what you know, Warcraft Version Switcher is not only for patching your warcraft version but it can store your current version. Here i will teach you. 2. Select the version that you wanted to store. Note : you can always change the version tittle. 3. 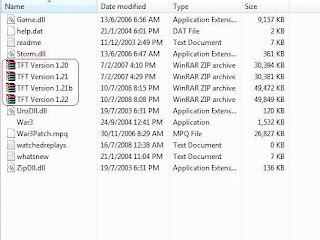 After selecting the version number of your war3, click on the "Make zip Package" to make a back up copy of your current version. This helps you to switch back to the previous version, if in case you face any problems with the latest patches. Here i will teach you how to convert your warcraft version and vice versa. Let us learn it by step to step. Well since this is about patching your warcraft version, you will need the version patches as well. If you are now using version 1.21b, you will need to store your currentversion before upgrade it to 1.22. The objective is so that you can useback version 1.21b after patching version 1.22. 1. Store your current version which is 1.21b. 2. Upgrade your warcraft version into 1.22. 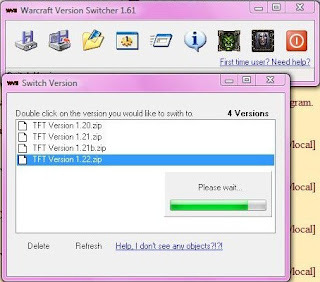 After you have upgraded your Warcraft Version into 1.22, please do Step1 to store version 1.22 on your Warcraft Version Switcher. With this,you can change your Warcraft Version anytime you wanted to. Okay. 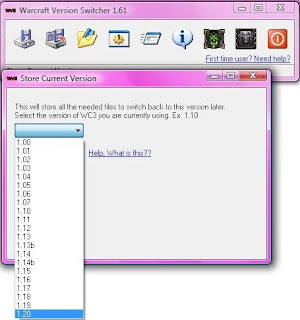 Most people have updated theirWarcraft Version to 1.22 and wanted to change it back to version 1.21b.Here it is, WVS is the answer. 1. Store your current version which is 1.22. You can refer to the guide that shown above. 2. 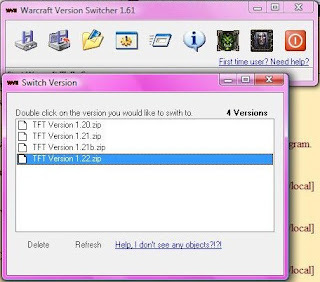 Download Warcraft Version Switcher. This is very important becauseyou must have this program to change your Warcraft Version to theprevious version. 4. Then you will need Version 1.21b patch. You can have it from the link that i gave above. Patch it on after you have it. 5. Repeat Step 1 to store your version 1.21b. 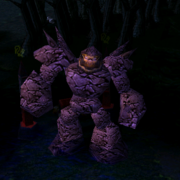 Same thing here, withthis, you can change your Warcraft Version anytime you wanted to. 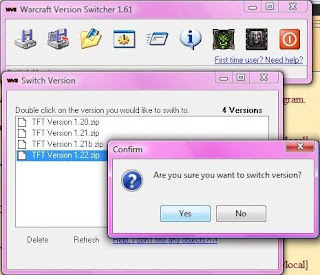 Oh by the way, you can change the version's tittle on Warcraft Version Switcher. 1. Just click on WVS folder. 2. Look on Zip File. You can change it there. 3. It will appeared same as what you have typed on the zip file. Thats all i have. If you found this thread is very difficult to understand, you can comment here and ask me if you having any problem. can you add patch 1.23 to this? or this can only do 2 pathes. what version do they use for garena?